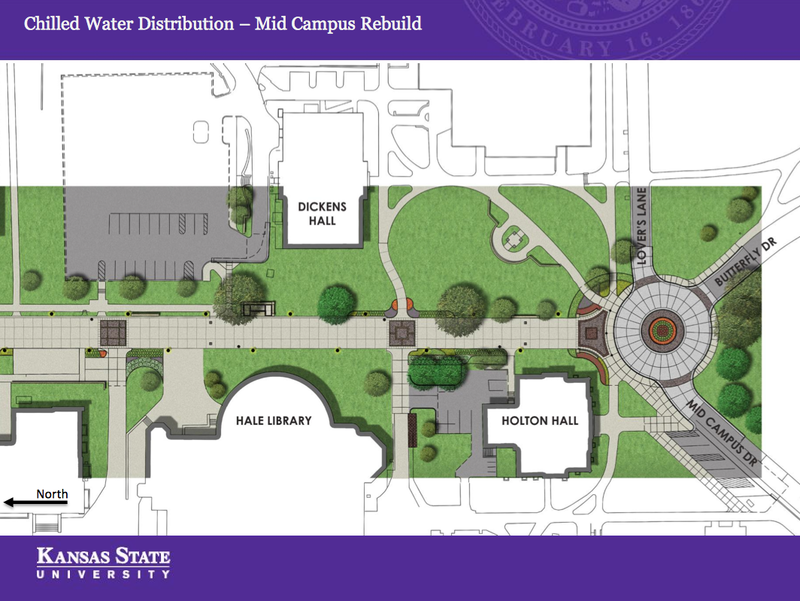 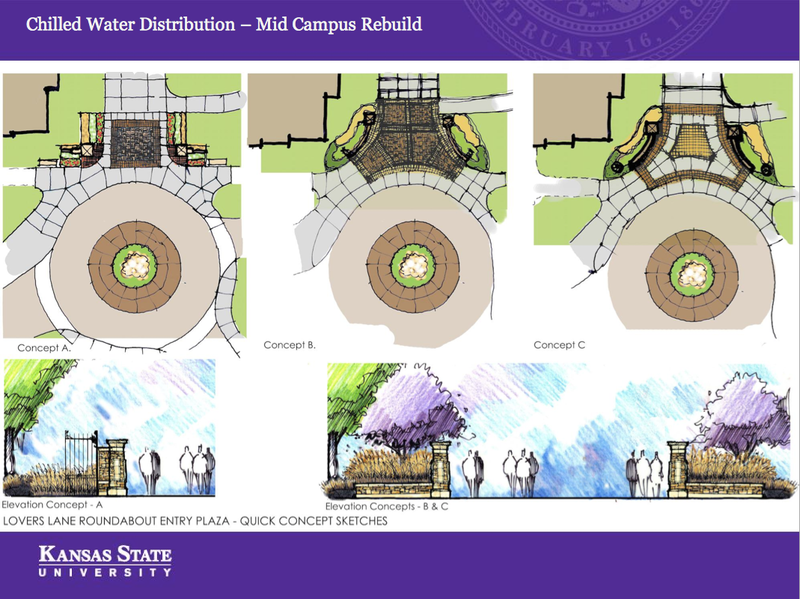 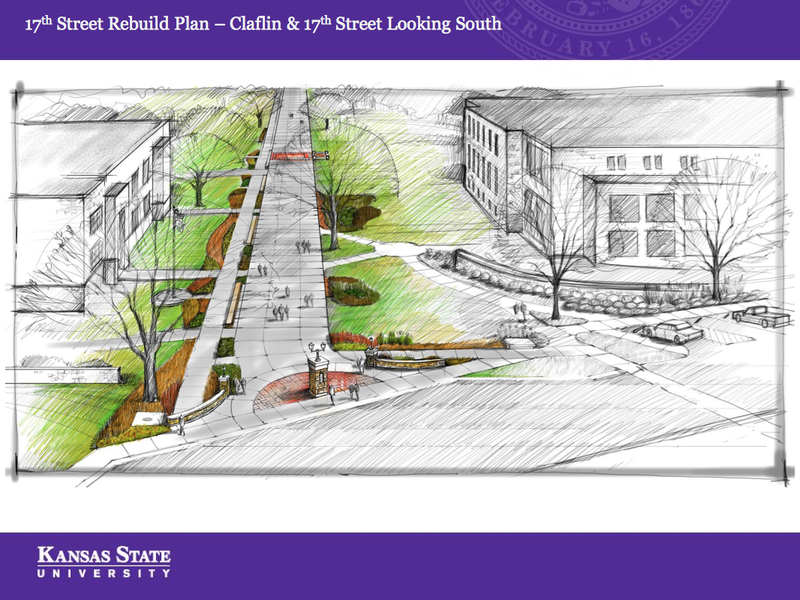 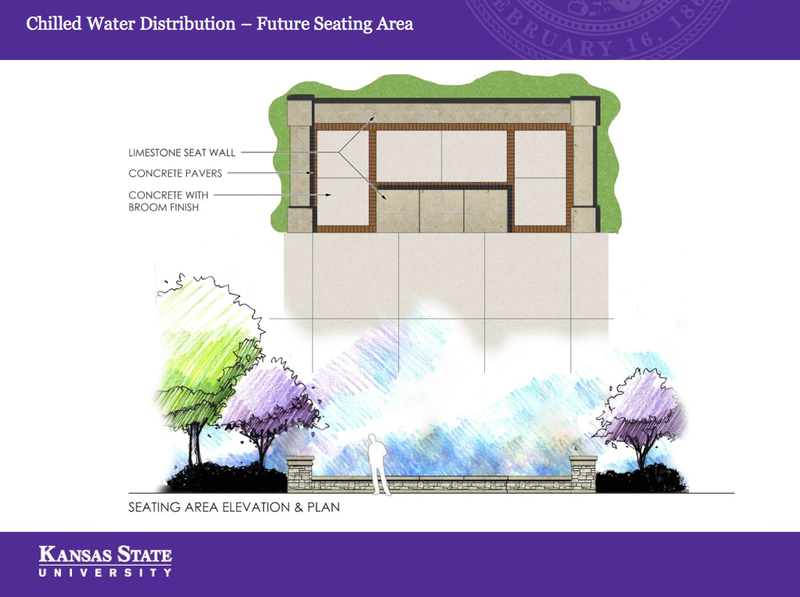 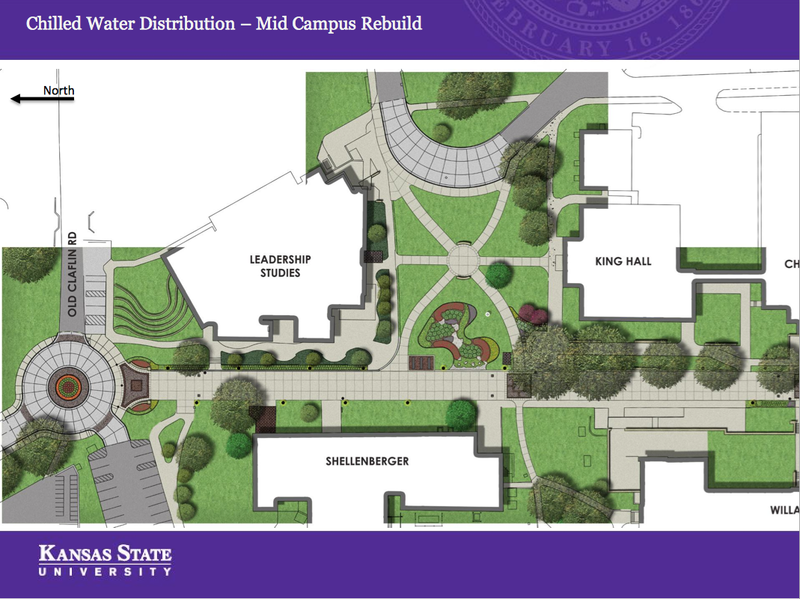 As part of the 2025 initiative, Kansas State University is expanding the heating and cooling infrastructure for existing buildings while preparing for the expected growth in research facilities on campus. 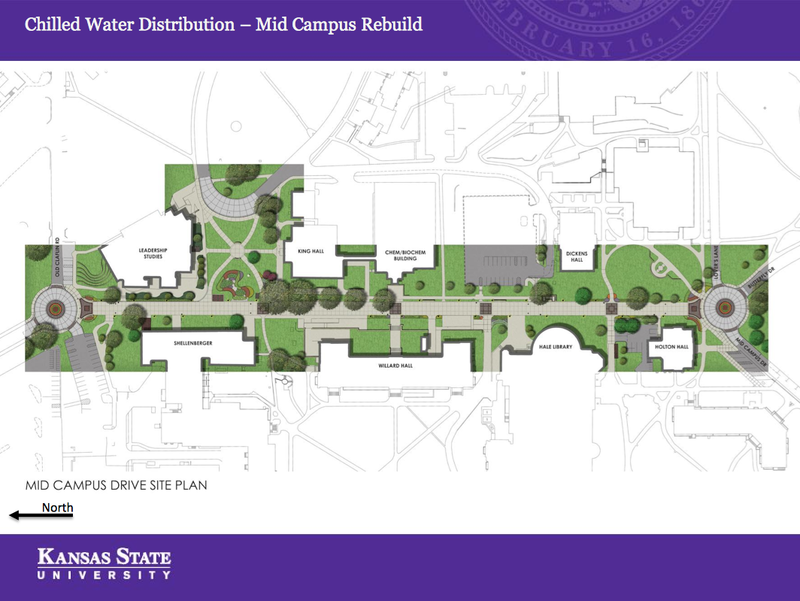 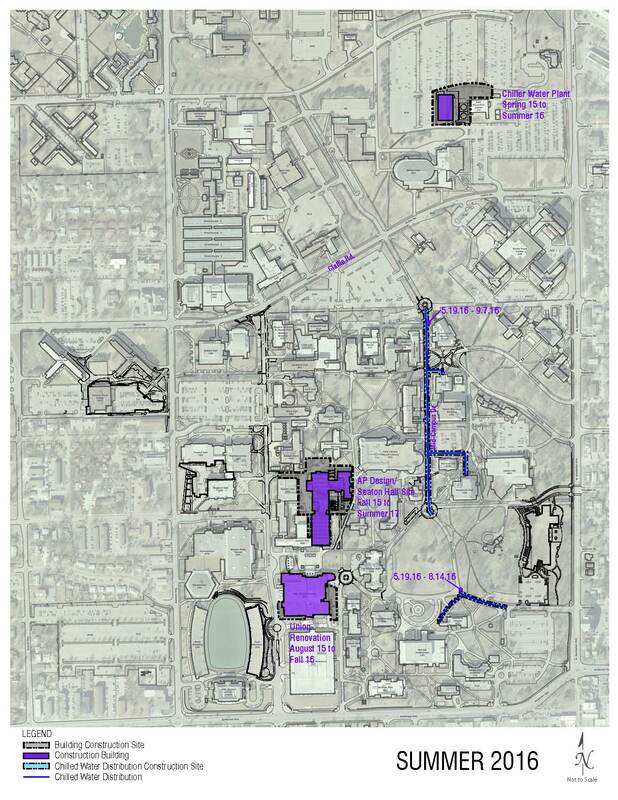 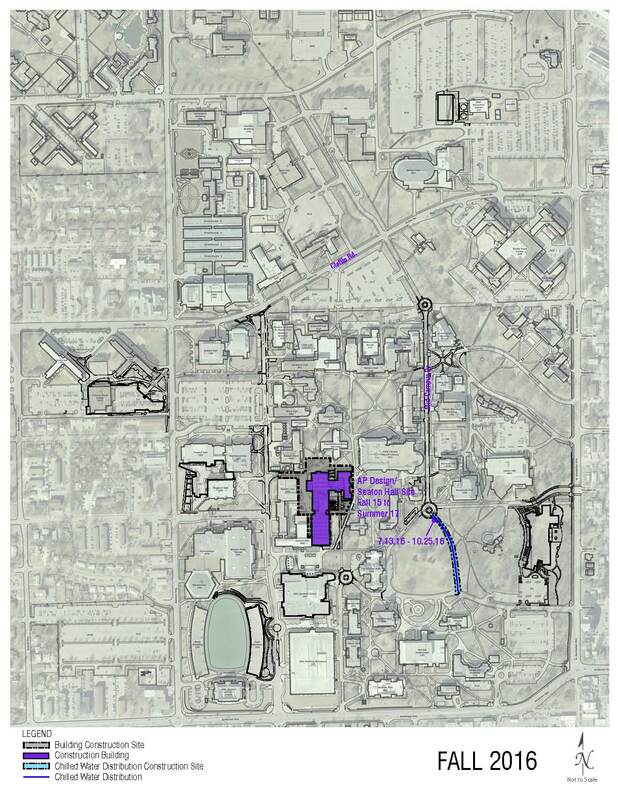 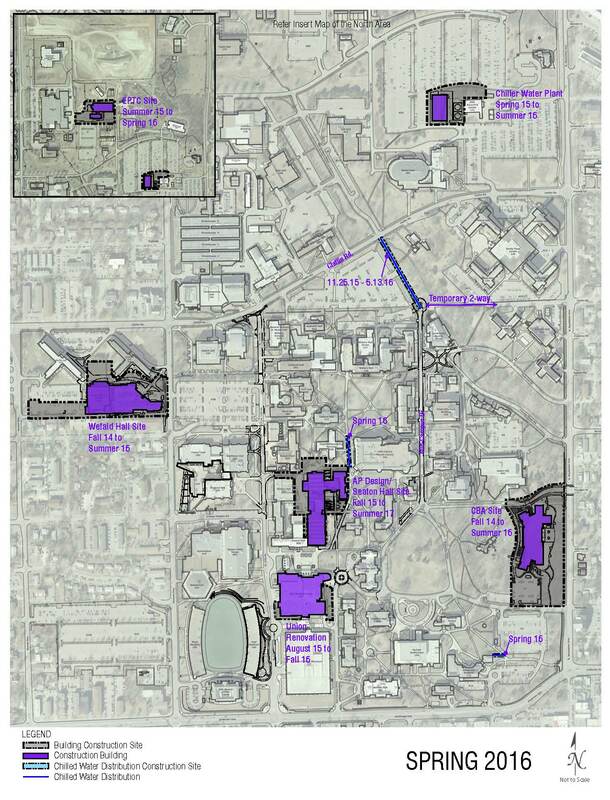 The Chiller Project includes installing chilled water lines throughout campus to create a utility loop and a new Chiller Plant building located next to the KSU Recycling Center north of Claflin Road. 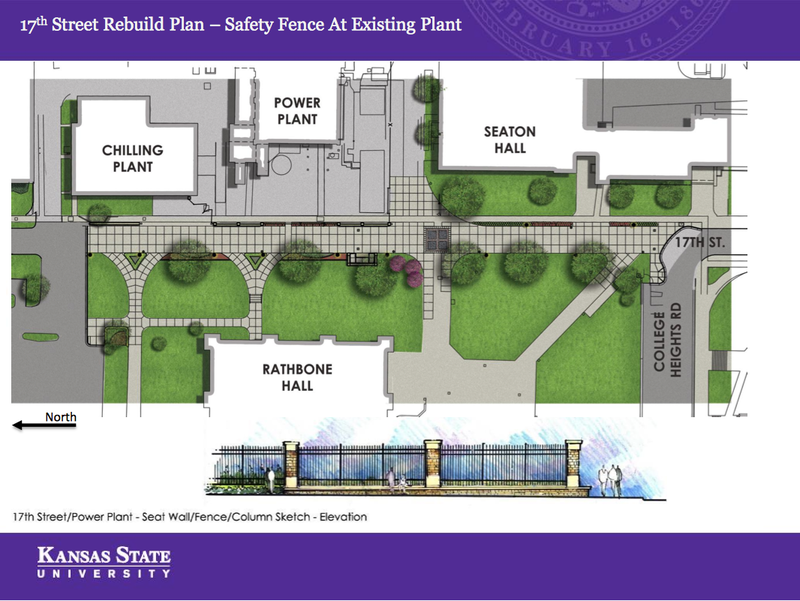 The Chiller Plant and utility loop will tie into the existing infrastructure and will allow for repair and maintenance of the system without affecting surrounding facilities. 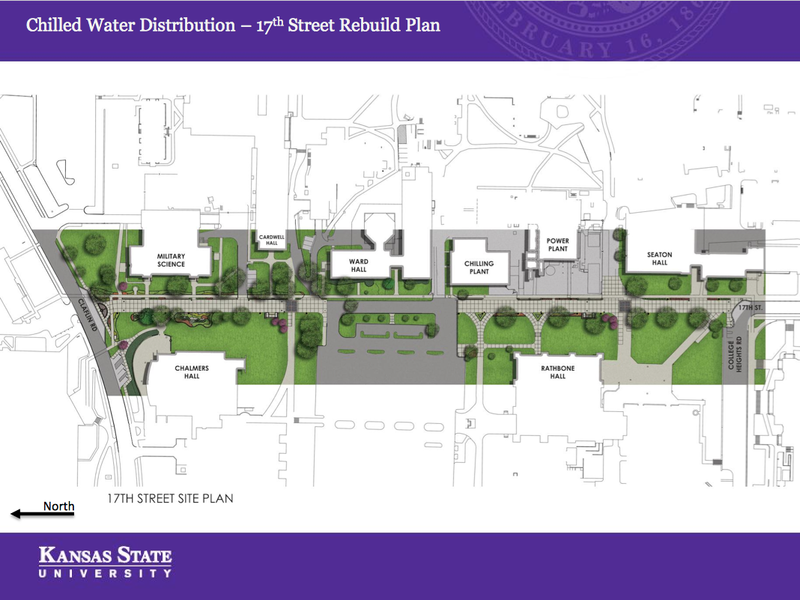 The project allows for future building renovations to remove existing window air conditioners and link the existing buildings to the chilled water loop. 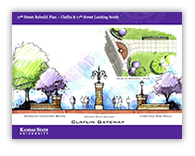 The project will require the closure of streets and sidewalks in order to complete the installation of buried chilled water lines. 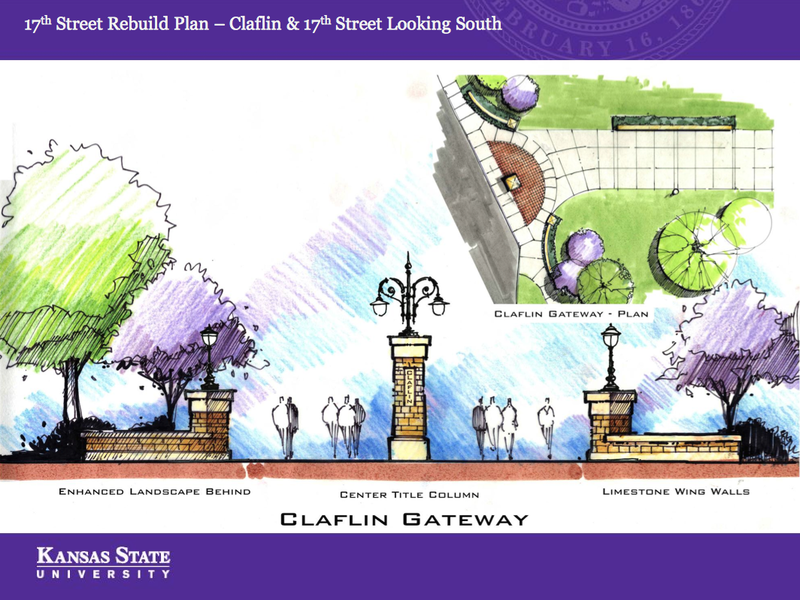 As part of this project, 17th Street from College Height to Claflin Roads and Mid Campus Drive from Butterfly Lane to Old Claflin Road will become pedestrian malls and will be closed to normal vehicular traffic.